It seems unbelievable that we are already half way through the summer holiday. Where does the time go? We’ve just spent a lovely afternoon with friends – with a bouncy castle, face painting and a running buffet: the puddings were amazing! On the walk home I was blown away by the hydrangeas in the front gardens around town. I’m doubly envious that I don’t have much success growing hydrangeas; and I don’t have a ready supply of such a versatile flower to use in my flower arrangements. Beautiful as they are keeping hydrangeas as a cut flower can be a bit tricky because they have a tendency to wilt quite quickly. As ever the advice is to re-cut the stems at a sharp angle and allow them to drink in a vessel of clean water. I usually plunge the heads in to a bucket of water before setting the stems down to drink. 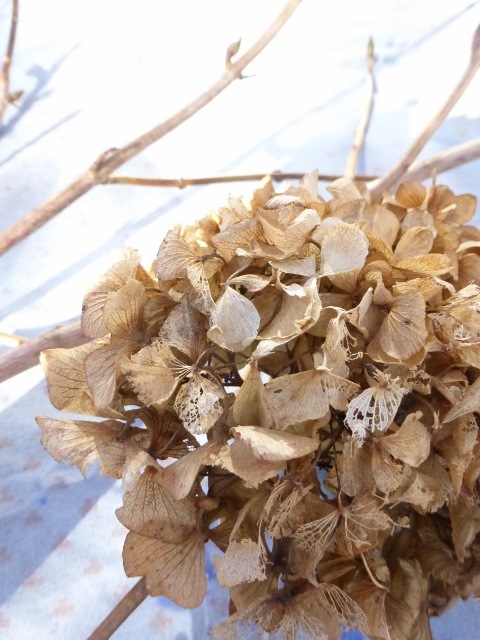 If you’re thinking of harvesting your hydrangea to dry, I’d hold off for a while. Wait until you can feel the seed head developing/hardening in the florets before cutting otherwise they’ll droop, rather than dry. 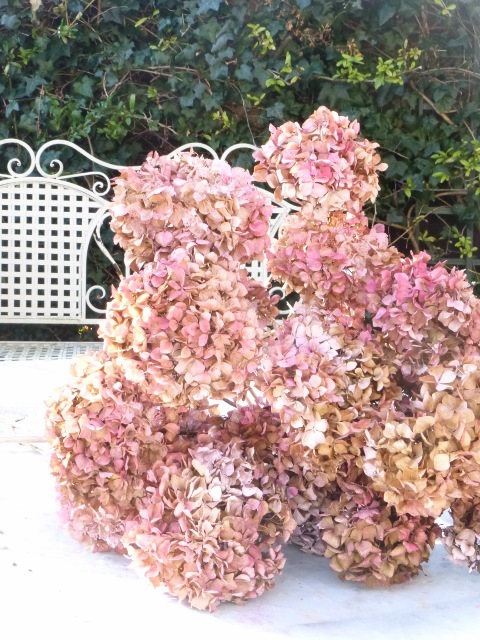 Dried hydrangeas provide fantastic colour indoors over the winter months, but do eventually lose their magnificent hue. At the beginning of the year I perked up some blooms I was given to dry by giving them a light misting of two colours of spray paint to give then a natural colour tinge – just don’t be too heavy handed with your spraying or they’ll end up looking a bit gaudy. I wrote a blog post last year about my visit to the collection of hydrangeas at Beech Court Gardens. If you’re in Kent why not plan a day trip and see them for yourself. 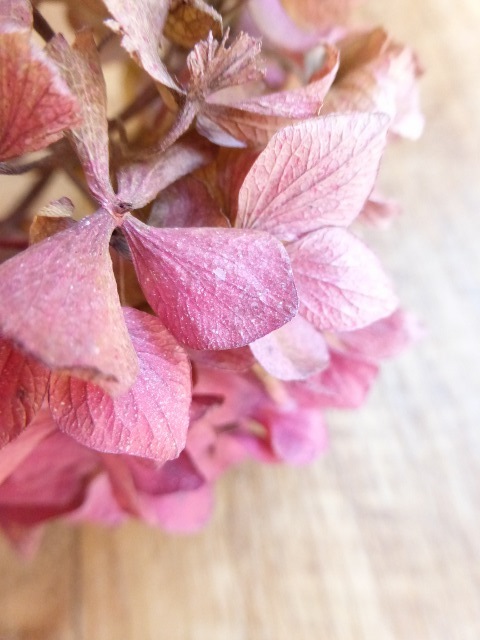 I’d love to hear your tips for growing hydrangeas – perhaps they’ll bring me luck for more successful growing in my garden! As a thank you to my newsletter subscribers I’m entering you into a competition to win a flower arranging workshop (worth £350) – if you’d like to be in with a chance you’ll need to sign up to my mailing list by midnight Sunday 13 December 2015. The winner will be picked at random and notified by email by Sunday 20 December 2015.